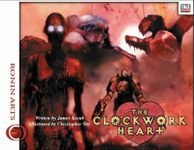 The Clockwork Heart is a complete adventure for high-level (12-16th) characters. Played to its conclusion, it can form the capstone of a longtime campaign, with the very fate of your campaign world hanging in the balance. If the heroes fail, the consequences aren't just "grab another character sheet and roll up a new character." They are much, much graver than that.